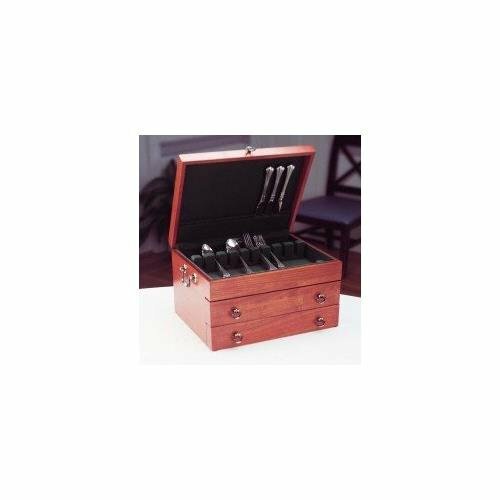 The Bristol Grande Flatware Chest has a cherry finish and a brown tarnish-preventive silver cloth lining. Holds up to 250 pieces, including 12 knives and 12 spreaders. Top drawer has an 8-slot rack for extra pieces and a 5-section second drawer for larger pieces.